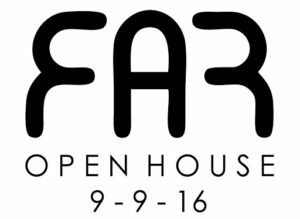 Facility for Arts Research (FAR) is having an Open House featuring all of FAR’s organizations: Small Craft Advisory Press, formLab, REBOOT, and The Comma Project. The Facility for Arts Research (FAR), part of Florida State University’s College of Fine Arts, supports rigorous investigation and inquiry across artistic media and disciplines with a focus on technological innovation. FAR incorporates formLab, which gives artists, designers and scientists access to a variety of tools to engage in hybrid digital/physical practices, and Small Craft Advisory Press (SCAP), which blends traditional and digital printmaking processes to create collaborative artists’ books, and REBOOT, a laboratory that looks toward our culture’s production of waste as a point of departure for a critical engagement with technology. FAR’s mission is to develop and share arts research-related resources with Florida State University and the larger community, providing a variety of classroom experiences, residencies, exhibitions, internship/volunteer opportunities and workshops.